Salient CRGT will be participating in the U.S. Army’s Responsive Strategic Sourcing for Services Program Office Mission, an indefinite delivery/indefinite quantity contract with a total ceiling of $37.4 billion. Under the RS3 contract, Salient CRGT will provide cybersecurity, data analytics and other IT services to the Defense Department, according to the company. 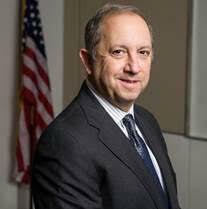 Salient CRGT CEO Tom Ferrando said this contract allows the company to continue supporting the C4ISR mission. “This award builds on our already successful business and represents confidence in Salient CRGT’s ability to deliver critical technologies and advance capabilities to the DoD, Intelligence Community, and Federal Government,” he said. In January, Salient CRGT also won a $40.1 million prime contract with the FBI for cybersecurity services under the FBI IT-SSS Vehicle, where the company will provide direct support for cybersecurity program initiatives to protect information, defend information systems and cyber networks and provide integrated situational awareness.